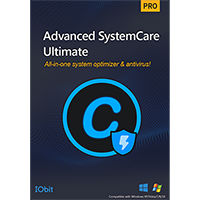 Advanced SystemCare Ultimate is IObit's "do everything" PC maintenance suite, combined with a dual security engine. This feature packed set of tools includes everything you need to maintain and protect your computer in one package. As you'll guess from the name, the big addition is antivirus protection, both real-time and on demand, which is provided by the IObit and BitDefender engines. This means the program is more likely to complain of potential conflicts on installation if you're already running some other antivirus tool. However, you can install in a "compatibility mode", which drops the real-time protection to minimise the chance of problems. And otherwise the program works much like any other antivirus tool. You can run quick or full system scans; set up a scheduled scan to run whenever it's convenient; have the program run in a "Silent Mode" when you're playing games to minimise unnecessary notifications, and more. Here you’ll find everything from memory optimization to disk scanning and process management. You can also cleanup the registry, securely delete files and much more. 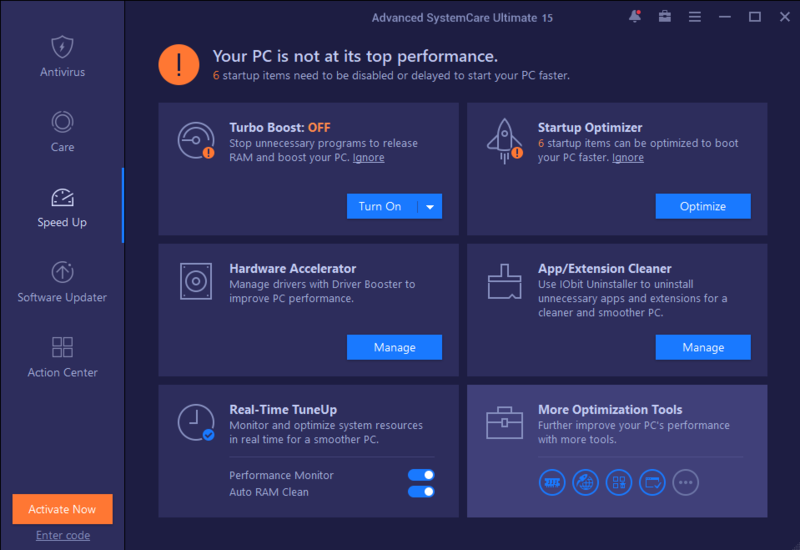 The final section of the suite is Turbo Boost which can be used to place your computer in a special mode in which system resources are maximized to ensure the best possible performance. This is great if you want to switch between working and playing games – just a click of the mouse switching modes so game performance will be optimized. An important point to note about Advanced SystemCare Ultimate is that you can use it alongside your existing security suite, as a second-layer of protection against the latest threats. Ideal for using an alternative security tool for checking your system for potential trojans and other malware. Includes a 3-PC, 1-Year license.